The wind has blown this creature's hat off his head. 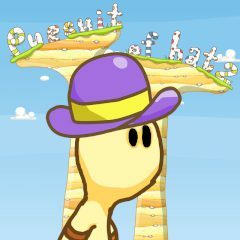 Now the main character of this funny game is in pursuit of his headwear. He will hardly be able to get it back without your help, thus don't be lazy and try to do it!